You are about to witness a free improvisation of three different characters, using three different means to produce media - analogue audio, digital audio and video. 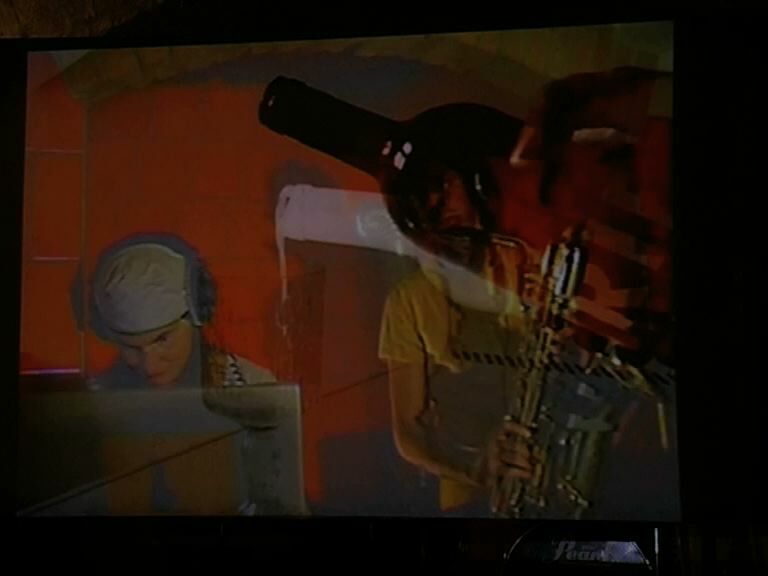 A saxophone, a laptop and a video-camera. All three are visually and audibly linked to each other, creating a sensitive network of interaction. Sampling and loops being central tools, they build nets of sounds and visuals - imaginary landscapes - evolving and developing, changing colour and mood, thus creating a journey through different places of mind, inviting the audience to travel along. The players are in a different room than the audience, perceived only via a screen and a sound system. Please note that this is a live performance, taking place right now very close to you - or is it?